They feed typically in waters off Cape Jaffa (east of Adelaide) to Cape Otway (west of Melbourne) and also in waters west of Rottnest Island in Western Australia. "The question remains whether the blue whales using Australian waters are one, interbreeding population, or are multiple populations that may have different adaptations to different environmental conditions," says Dr. Catherine Attard, a member of a team of scientists from Flinders University who set out to answer this question with their collaborators the Centre for Whale Research in Western Australia and the Blue Whale Study in Victoria. Just as family members are genetically similar to each other, individuals from the same population are also genetically similar to each other, and so DNA can be used to identify populations. DNA can also help tell us whether blue whales from different localties are adapted to different environmental conditions. 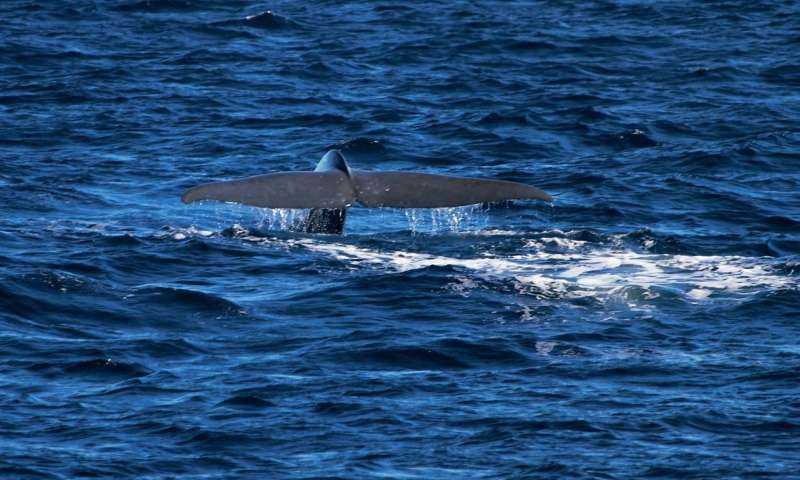 "We found using DNA collected from wild animals that the blue whales in Australia – whether they are feeding in waters off South Australia and Victoria, or off Western Australia – are all one population and likely adapted to a range of environments. "This means the same population is exposed to human activities occurring across a wide range of locations. 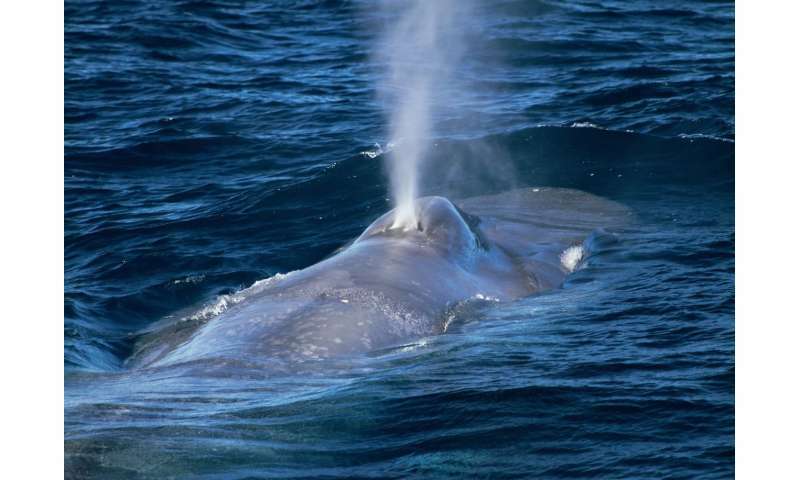 For example, the blue whales feeding in Western Australia may be impacted by human activities occurring as far away as Victoria as they are all part of the same population," says Dr. Attard, a lecturer in molecular ecology at Flinders University. Blue whales are still recovering from 20th century whaling and are listed in Australian legislation as endangered. 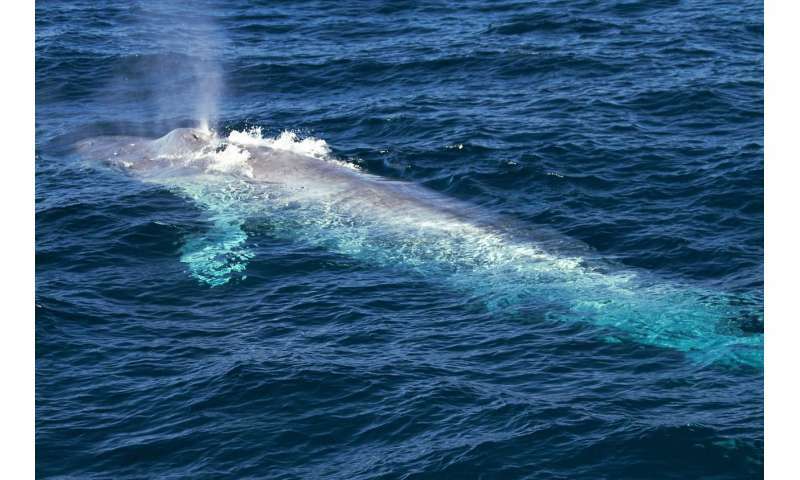 The Australian Government has a conservation management plan for the species that aims to minimise human-induced threats to allow the recovery of blue whales. "Good conservation practices use scientific information from, for example, genetic, acoustic, and visual surveys to improve the protection of endangered species. We have provided one more piece of the puzzle that will continue a strong scientific basis for the conservation of blue whales," says Dr. Attard.